#OurHubs support for Grangemouth dockers! “The dockers are going to be out for two weeks because they haven’t been left with any other choice. Strike action wasn’t taken easily but the way people’s shift patterns are being changed – without decent consultation or any regard for the impact it’s going to have on people’s home lives – it’s just not on. “Out on the picket line we haven’t just got the striking dockers. We’ve got workers from other sectors across the Grangemouth hub and from other UK hubs like the Humber where people who do different jobs are backing each other up and recognising that we’ve got strength in numbers and in being united. SIPTU organisor Jerry Brennan has been pounding the docks in Ireland looking for a time and a place to engage with workers about the issues that matter to them. Think the finance sector isn’t relevant to industrial hubs? 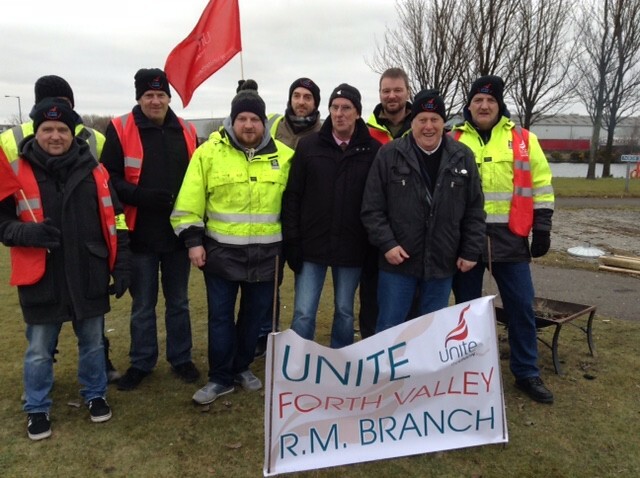 Spreading the word about the power of the union is key for Unite reps at Lloyds Banking Group who are part of the industrial hub programme in Grangemouth, Scotland. That’s why they’re finding new ways of ‘getting organised and raising their profile’. Check out issue 1 of their newsletter SPARK to see how they’re getting the job done.